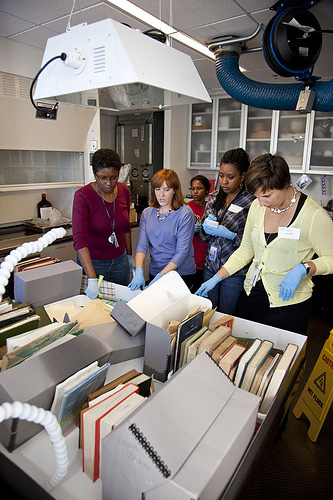 The Archives actively promotes a safety culture for both staff and collections. A comprehensive emergency preparedness and recovery manual is maintained that covers prevention efforts, evacuation procedures, emergency response staff responsibilities, salvage operations, and post-disaster assessments. Every two years, the manual is reviewed and revised as needed. In addition, the Archives distributes an “Emergency Alert” pamphlet to staff every six months that outlines the specific actions to take during an emergency, ranging from fire alarms to “shelter-in-place,” and lists phone trees with corresponding staff contacts. An emergency situation can occur at any time and be of varying scope and scale, from a small water leak in a storage space to a widespread natural disaster. These events can leave archival holdings vulnerable to damage. 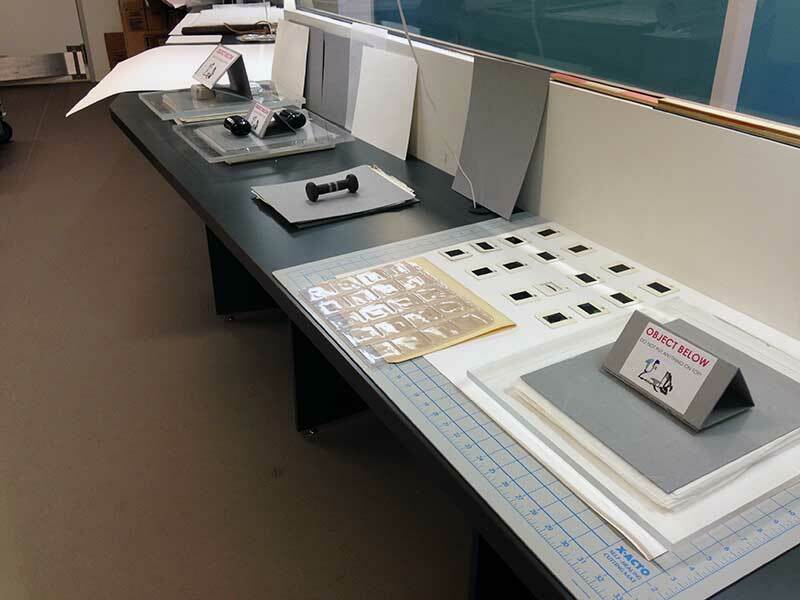 The Archives takes a proactive approach to disaster preparedness by maintaining an emergency manual, training staff on evacuation and salvage procedures, and coordinating with other Smithsonian units to maximize resources. The Archives has different types of monitoring systems in place to aid in the prevention of collections-related emergencies. Water checks, pest inspections, safety and security assessments, and off-site data backups have all been set up in response to past problems, or in the hopes of preventing future emergencies through early detection. Disaster supplies are maintained near collections areas and are inventoried annually to replenish supplies that had been used throughout the year. Some of the items are kept in waterproof corrugated polypropylene boxes and include flashlights, batteries, nitrile gloves, spill pillows, absorbent paper, clipboards, pencils, protective aprons, sponges, tarps, and trash bags. 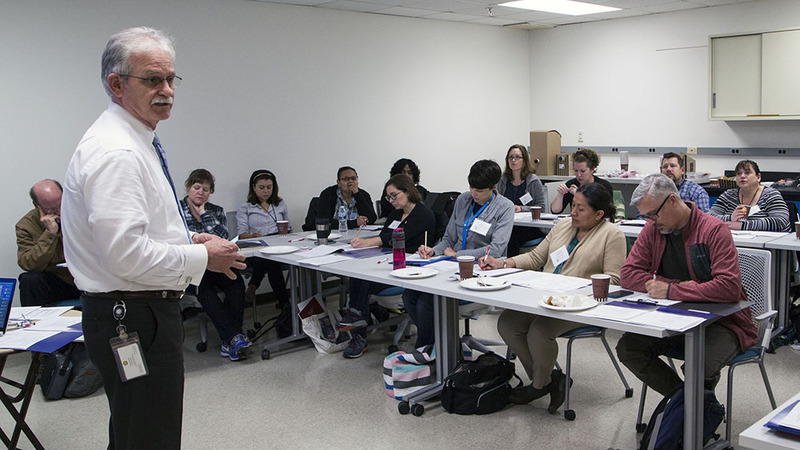 Workshop participants assess items that have been part of a simulated water event during the 2017 MayDay two-day workshop at the Museum Support Center, 04/26/2017, by Michael Barnes. 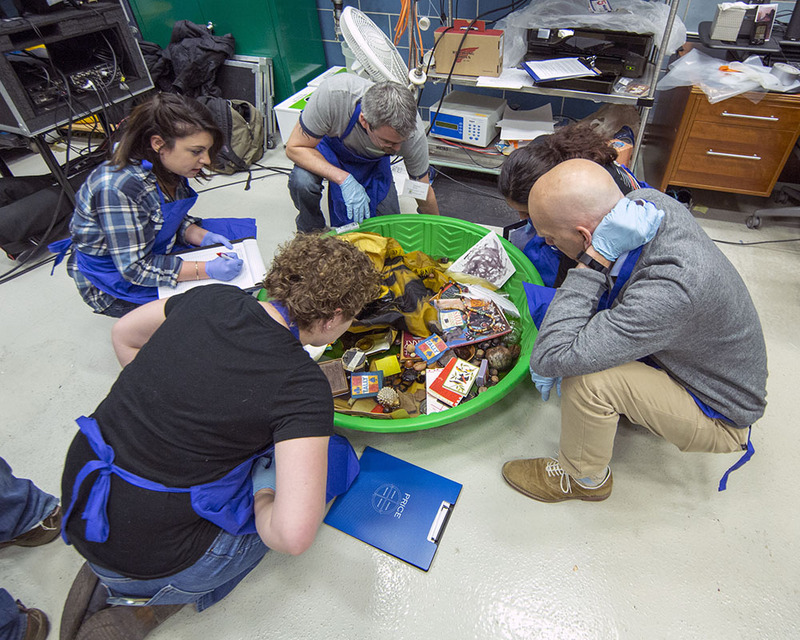 Staff document items that have been salvaged during the 2017 MayDay two-day workshop at the Museum Support Center, 04/26/2017, by Michael Barnes. A fragile textile is transported to a salvage table using polyester netting as support, 04/26/2017, by Michael Barnes. 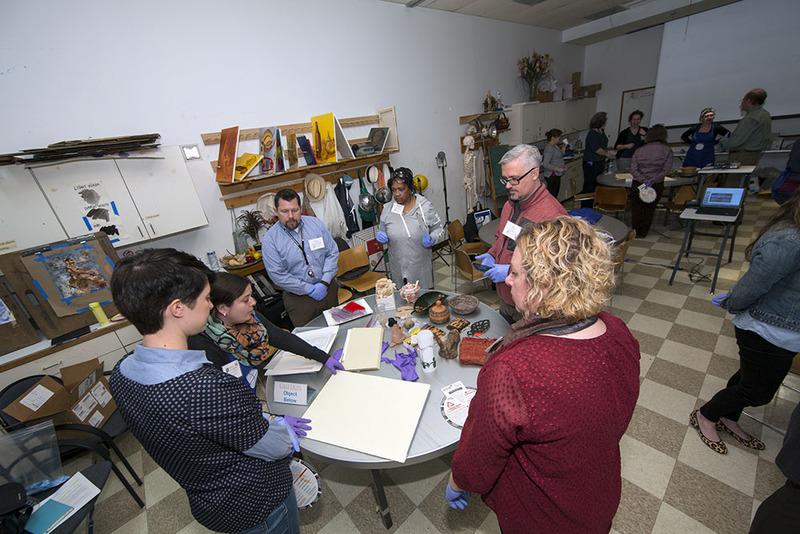 Staff from around the Smithsonian learn about object handling best practices, 03/29/2017, by Michael Barnes. 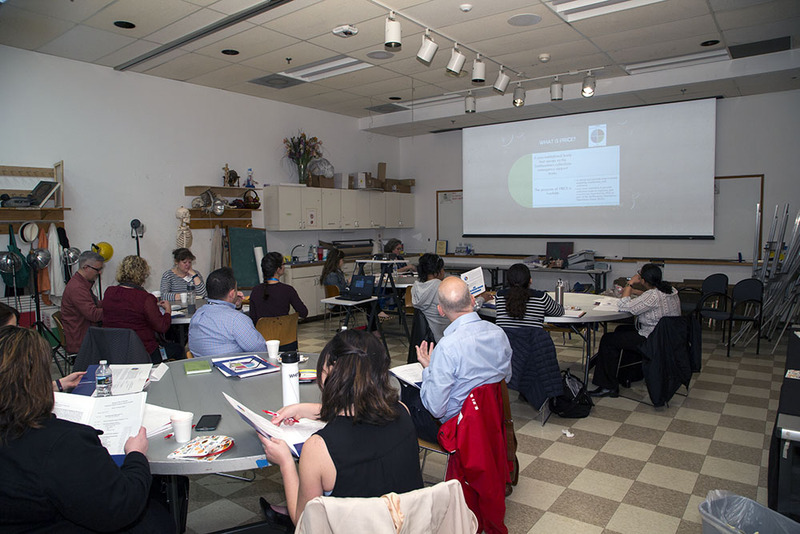 Smithsonian staff learn about disaster preparedness activities around the Institution at the 2017 MayDay training orientation, 03/29/2017, by Michael Barnes. Smithsonian staff take notes on personal protective equipment (PPE), instructed by J.R. Smith, 04/25/2017, by Michael Barnes. A close-up of paper collections drying after being exposed to water. Blotter and corrugated blue board are being used to absorb water and will need to be swapped out as the documents dry. 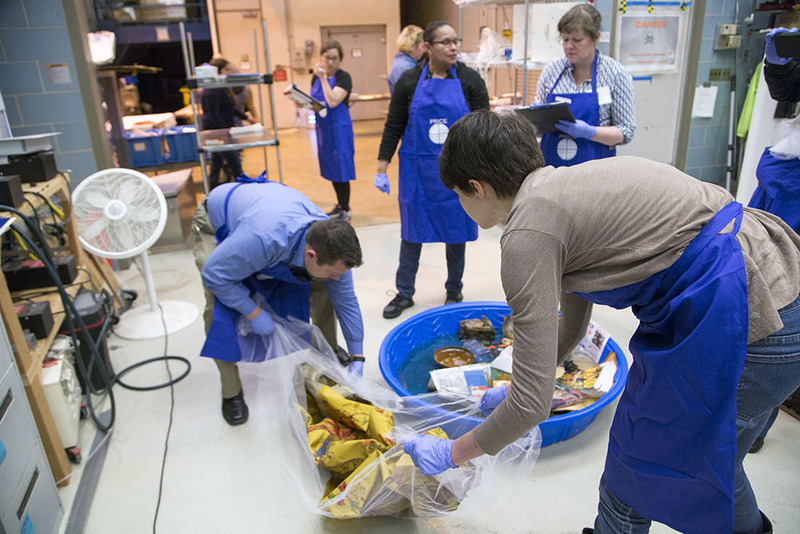 Workshop Recovery of Water Damaged Material - the Disaster Scenario, Smithsonian Institution Archives, 2011, by Michael Barnes. Different collection items are being dried after being exposed to water during a disaster recovery workshop, by Alison Reppert Gerber. Response happens as soon as an emergency occurs. 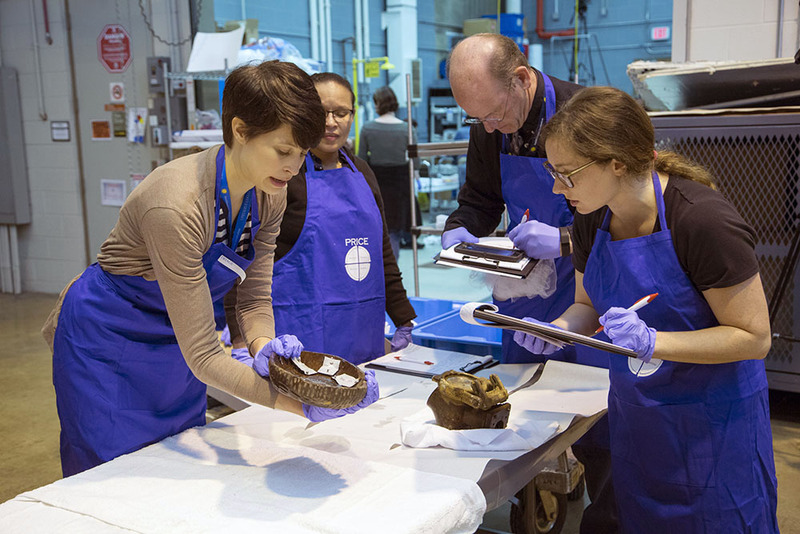 While the Smithsonian follows the Incident Command System (ICS) to coordinate operations and recovery, the Archives has its own Emergency Response Team for collections recovery that consists of staff members who assume alternate roles during an emergency. The team consists of an Emergency Coordinator, Recovery Coordinator, Conservator, and Emergency Registrar. The Emergency Coordinator decides whether an emergency should be declared and then decides what actions to take and delegates responsibilities as they arise. The Recovery Coordinator leads the recovery effort within the Archives, making treatment decisions and actively training staff and volunteers in recovery roles. The Conservator works closely with the Recovery Coordinator to triage collections and complete appropriate treatments. The Emergency Registrar records the details of the emergency response and recovery, including all communications and collection movement. In small-scale emergencies, recovery can often happen quickly. However, there could be a delay in recovery for weeks after a major disaster. Emergency personnel, such as the fire department and police, must determine the cause of emergency and declare the site safe for reentry. Every effort should be made to keep this delay to a minimum. If salvage is delayed for longer than 48 hours, it adversely affects the success of any future salvage operation. David W. Carmicheal’s Implementing the Incident Command System at the Institutional Level: A handbook for Libraries, Archives, Museums and Other Cultural Institutions, 2010. Published by Heritage Preservation [Washington DC]. Canadian Council of Archives, Salvage Operations for Water Damaged Archival Collections: A Second Glance, 2003. Written by Betty Walsh.